This large-scale group shows the Greek hero Hercules wrestling with the giant Antaeus, who gained his strength from contact with the earth. 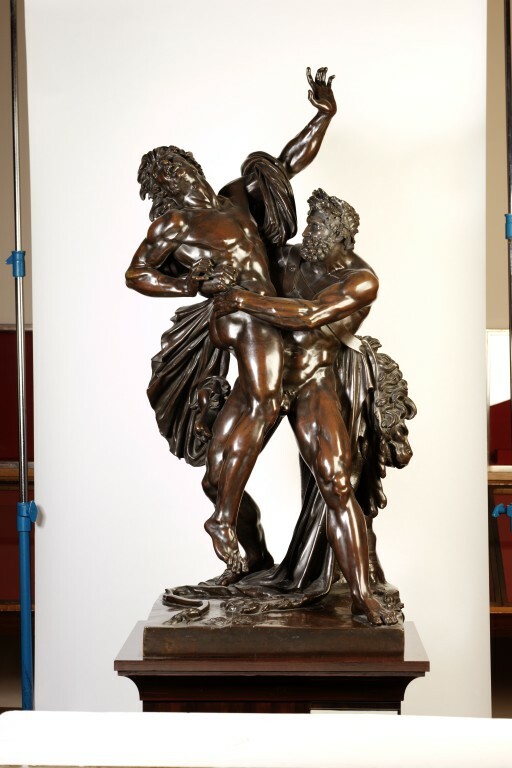 Hercules is therefore shown struggling with Antaeus and lifting him from the ground to weaken and overcome him. This subject was a popular one from the renaissance onwards. This group is probably derived from a seventeenth-century French example, although it is a later cast. 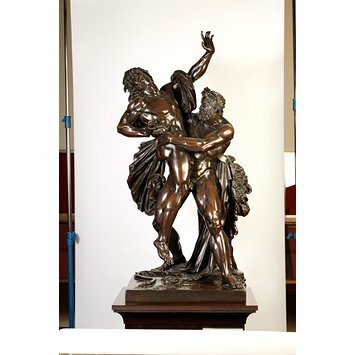 Bronze group, two struggling male figures. Given by Norman Bloom and the Bloom Family Trust South Africa in memory of Mrs Florence Bloom, in 2003, together with A.2, 4 & 5-2003.